We certainly hope that this book, as a technical publication, will help software engineers, web developers, product designers, and electronics engineers start designing Internet of Things products. Indeed, we cover microcontrollers, electronics, embedded programming, and web APIs, among other technical topics of interest. The book is also targeted at entrepreneurs, “makers” (designers, artists, craftspeople, and hobbyists), academics and educators, and anyone interested in getting an overview of this exciting upcoming technology. Even if you have little or no technical background in IT, much of the material is accessible to a general reader, and our coverage extends beyond the purely digital to topics in design, ethics, and business. I liked a lot this book. It´s a general introduction to the Internet of Things world not only in a technical way but also in a businees way. 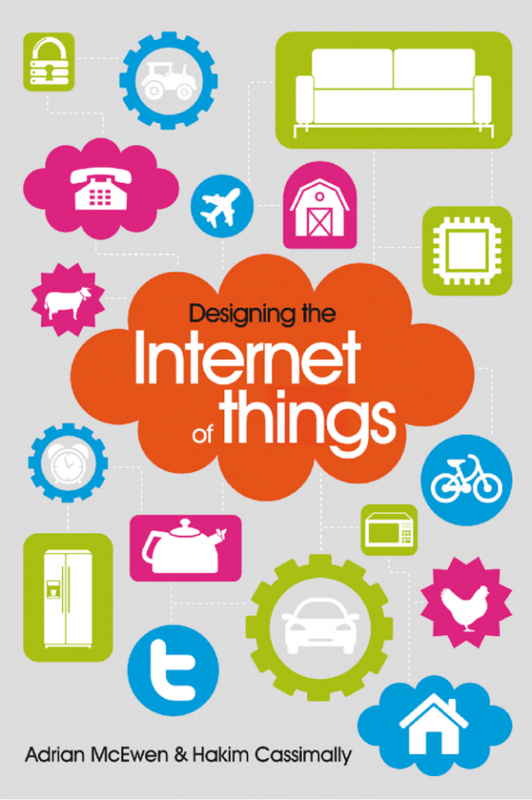 The book talks about the design for connected devices, technical options like which board to use (Arduino, Raspberry Pi, BeagleBone, Electric Imp, etc), how to prototype the physical design, how to connect the device to the Cloud, Business Models and scaling to mass manufacturing. Overall an excellent guide to know about the big picture of whhat is happening in the IoT world.